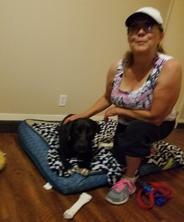 Team Paw-Some Pet Sitters - It's a TEAM Effort! Team Paw-Some Pet Sitters are a "PAW-SOME" TEAM of +/- 20 professional, bonded, insured, mature, responsible, loving pet sitters, many of which are certified in Pet CPR. We are a TEAM because it is not an option for your pet to go without a visit. You will always be assigned a main pet sitter, as well as a backup pet sitter. Hello pet parents. 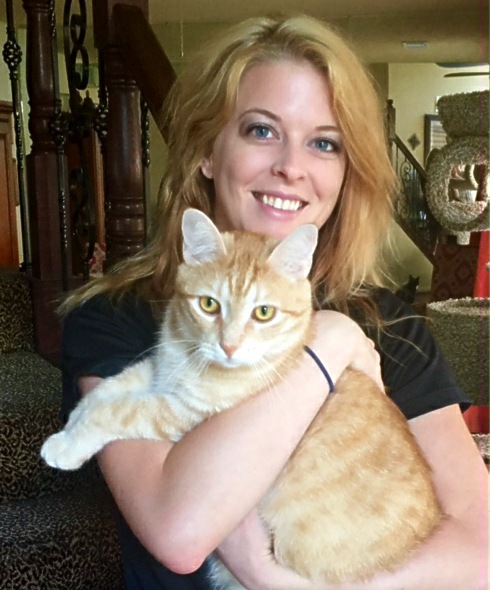 My name is Kayla, and I am currently a part-time pet sitter with Team Paw-Some as I work full time as a LVT (Licensed Veterinary Technician) at Parkwood Animal Hospital in Friendswood. 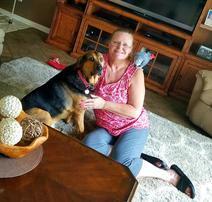 I have worked with this wonderful group of pet sitters since April 2013 and absolutely love it. I have always been surrounded by animals since I was a little girl and that is probably why I chose my profession as an LVT. I was born and raised here in Texas, but moved to Colorado for two years, which is where I rescued my dog Bella and my cat Judy. I just recently rescued another kitten, who I named Oliver. I think as pet lovers we all tend to take in strays from time to time to foster until we can find a good home for them. But somehow that doesn’t seem to happen that often and we find ourselves with permanent furry pets living in our home! Oh well – the more the merrier! My name is Elizabeth, and I purchased Caring Carrie's Pet Sitters from Ms. Marriott in April of 2006. My career began by assisting her with her pet sitting business. In the ensuing years, I have grown to know and love all the animal clients we have. Our clients are not just animals on the other side of the door, they are Fur Kids to us; with each dog, cat, or bird having its own unique personality, making pet sitting profoundly rewarding. 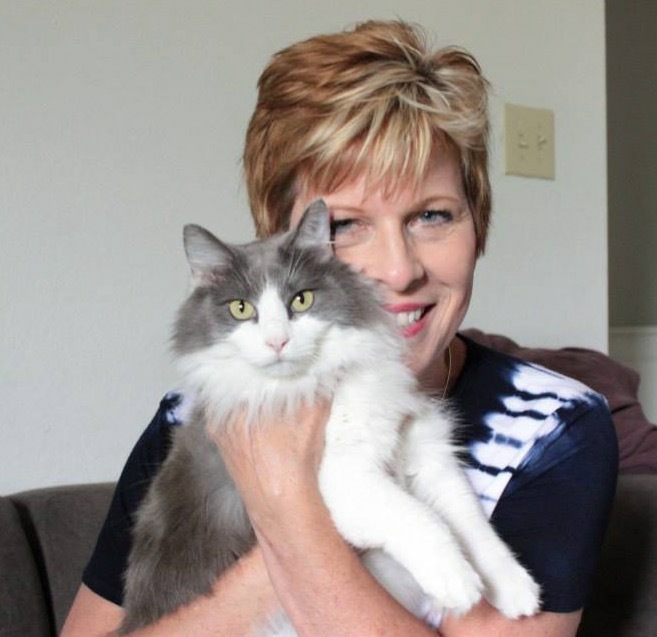 TEXAS sized Team of loving, caring, experienced pet sitters. Most recently, I retired as the business owner and handed the company off to Libby, our Bookkeeper and Business Manager. I will still be around to give advice and help out when needed. However, I''m looking forward to having more time to do what I love doing most - loving animals! Our animals are so appreciated and loved. We treat them like it is their home and we are lucky to be allowed to come in. Presently we are owned by two dogs. Dandee, who was a found dog warmed our hearts, and after unsuccessfully trying to locate his owner, took over one of our sofas in our home. Our other fur child Dolly, was also looking for a permanent home, and with Dandee by our side, we choose her to occupy the second sofa in our home. Our two Doxies had recently passed, so it seemed like it was meant to be, another gift from Above. They have bonded into the best sister and brother ever. Additionally, we often act as foster parents for several local Pet Rescues, so the actual number of four legged Fur Kids we have the pleasure to come home to each evening, varies. We have volunteered for Golden Beginnings Golden Retriever Rescue for the past 12 years, and recently have also had the pleasure to foster for a Doxie rescue group, All Texas Dachshund Rescue or ATDR. Family wise, I am now a proud Grandmother to my precious Granddaughter who arrived in 2008 and two twin Grandsons adding to the joy in 2012.
a new pet sitting company! Soon after meeting, Elizabeth hired me and my small bookkeeping company to take over the books of Team Paw-Some, and I served as the Bookkeeper and Business Manager for this amazing company and growing business until I purchased the company from Elizabeth at her retirement effective January 1, 2018!! My vision for Team Paw-Some Pet Sitters is the same as Elizabeth's: first, to be the kind of person my dog thinks I am, and second, to follow the Golden Rule; treat all humans and animals with the love and respect with which I hope others will treat me and our company. We absolutely love our pets and we love what we do. If you're looking for a TEAM of professional, mature, and dedicated pet sitters, you've come to the right place! We look forward to caring for your fur babies soon! 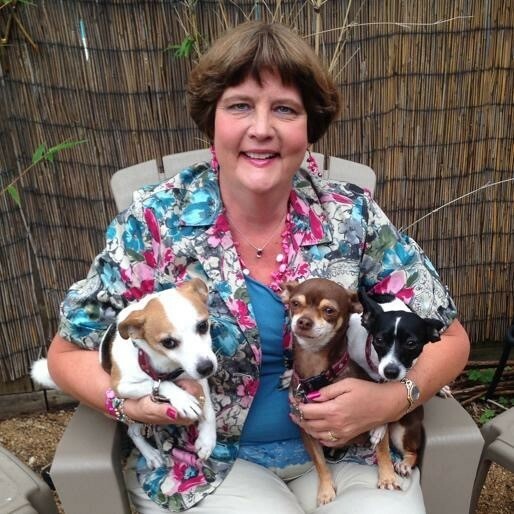 My name is Marlene, and I have been a member of Team Paw-Some Pet Sitters since March, 2013. My husband and I have been married for 20 years and we are proud parents to two wonderful children, ages 14 and 10; along with our two fur-pups, a Pembroke Welsh Corgi and a Chiweenie. Needless to say – I am quite busy. I taught school for 15 years in Texas and Pennsylvania and was a Multicultural Specialist and Program Specialist in Cleveland, Ohio for five years. It was in Ohio where I had the opportunity to work closely with classroom teachers to develop curriculum and project based portfolios. Working with dedicated teachers was a wonderful experience and one which I truly enjoyed! While living in San Antonio, I served as a board member in the local chapter of the Delta Society. Through this organization, our group matched members’ pets with local schools, hospitals and nursing homes and provided “therapy dog” experiences for people of all ages. Bringing people and animals together was both rewarding and extremely enjoyable and an experience I will always treasure. I have always felt a kinship towards animals and feel blessed that I am part of this caring and loving team of men and women. 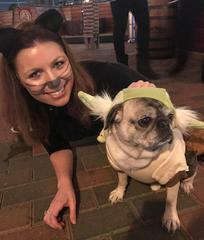 My name is Laurie, and I am happy to have finally found the job of my dreams...becoming a pet sitter with Team Paw-some, and being able to spend my working hours providing love and care to as many pets as I can! I have been a resident of the Clear Lake area since moving here in 1982 from Youngstown, Ohio. I have a Bachelor in Science in Business Administration from Youngstown State University. In 1983, I married my husband, also a former Ohio resident. I worked in apartment management for over ten years, before becoming a stay at home mom to raise our two daughters, both graduates of Clear Lake High School and University of Houston. My love for animals goes back to my childhood, and my home has never been without pets; whether it is a turtle, hamster, iguana, garter snake, dog or cat! 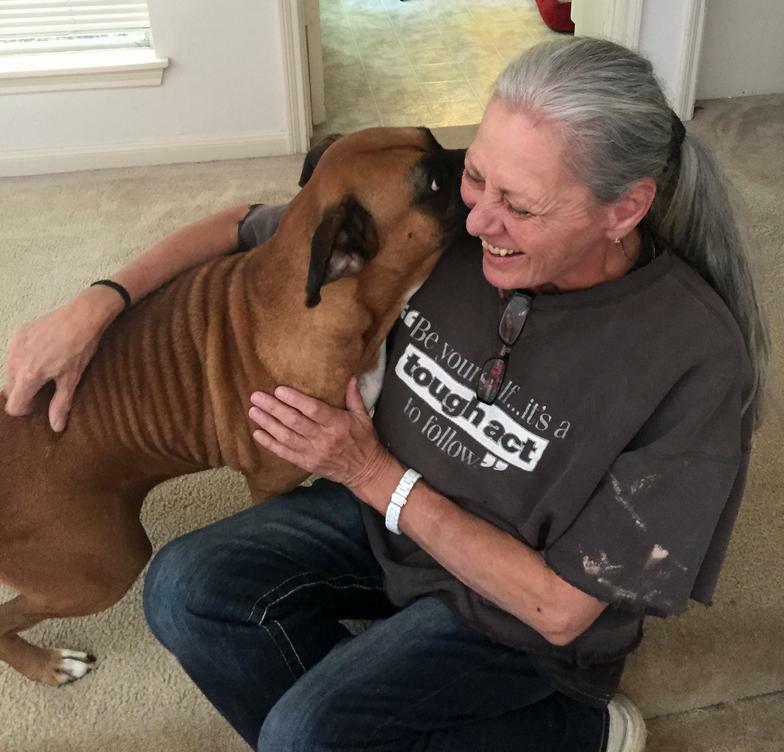 I shared that love of animals for several years as a volunteer with Finally Home Pet Rescue...fostering cats, bottle feeding fur babies, administering medications, and providing a warm lap to snuggle on. During that time, I also became mom to eight cats! I have been a pet sitter for many of my neighbors over the years and have experience with both dogs and cats. As a member of Team Paw-Some Pet Sitters, I am excited to share my love of animals with your precious pets while you are at work, on a business trip, or vacation! 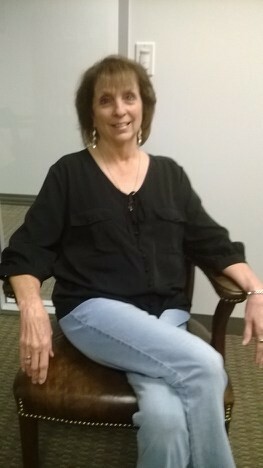 My name is Debbi, and I am originally from Illinois, but have lived in Friendswood since 1987. I was fortunate enough to have secured a position with Team Paw-Some in August, 2015. You know how sometimes you dread going to work in the morning because you are not fond of your job? Well, this does not seem like a job at all! Pet sitting is what I love to do and has been a passion of mine for many years. What else is more enjoyable than giving love to dogs and cats of all sizes and personalities? I worked in finance for 21 years as part of the Space Shuttle Program until our division was shut down in 2011. After leaving, my mom and I travelled, visiting places you usually read about in magazines. We thoroughly enjoyed our adventures together. I have volunteered with several rescue groups since 2008 specializing in foster kittens. I also have expanded to fostering small dogs. Currently I have four personal cats (all adopted through rescue groups) and eight foster kittens. These numbers change weekly as I can never say no. I can also be found at PetSmart on Saturdays volunteering during Adoption Events. So you can see that securing this position with Team Paw-Some is my way of going to work with a smile on my face and loving every minute of it. Hello pet lovers. 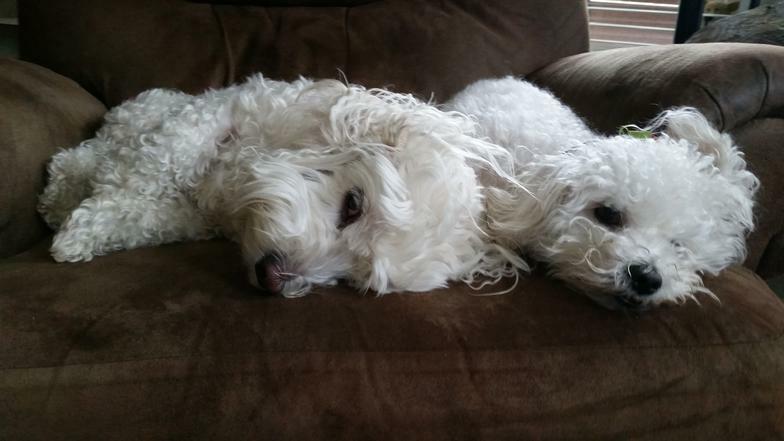 My name is Stephanie, and I am also a part-time pet sitter with Team Paw-Some Pet Sitters. I cannot tell you how much I enjoy every minute of it. I wish I could devote all of my time to my extended fur babies. However, I am a college student finishing up my degree in Professional Business Administration, which doesn’t leave me much spare time. In addition, I have two very beautiful children who are eleven and five and one puppy dog who is eight, so technically I have three kids. I am originally from Kentucky, but have lived in Texas for four years. I was raised on a farm with many animals, so pet sitting is very natural to me. I have yet to come across an animal that I do not like, no matter the nature of the animal. We all have to remember that all animals have different types of personalities just as people do; you just have to know how to work with them in their own way. 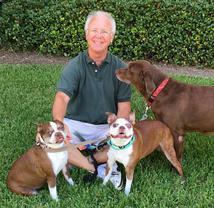 Hi; my name is Steve, and I am very excited to be a part of this great Team of Pet Sitters. I am originally from Hollywood, California (yes, many people live there other than movie stars). After college, my Department of Defense career took me to San Diego and then to Washington DC. I moved to Las Vegas after retirement from the DoD and then to League City. My wife and I decided that we are here to stay – so we will not need to hire a moving van any time soon. I also spent time at Miramar (San Diego) in the Navy as an aircraft electrician working on fighter aircrafts. Following the Navy, I worked as a civilian for the Department of Defense, mostly with the Naval Air Systems Command. Now that I am retired, I enjoy being with our four children, eight grandchildren, and of course, working with furry animals. I was involved with a Golden Retriever Rescue in Nevada for many years prior to moving to League City. I loved being involved with fostering, and daily exercising for those great dogs so they could develop into wonderful adoptable forever family members. I currently have an amazing rescued Golden named J J Watt. He came with that name and after meeting him, you would have to agree it fits him perfectly. I look forward to meeting your furry friends. It is truly a passion of mine to make sure that your pets are happy and comfortable when you cannot be there with them. Team Paw-Some Pet Sitters is giving me the opportunity to do something I love. Hello to all you animal moms and dads. My name is Jessica, and I am very happy to be back in the Clear Lake area working part-time with Team Paw-Some Pet Sitters. I also work in the business world part-time as a product marketer. I am a graduate of the University of Houston with a bachelor’s degree in finance; and a graduate of Clear Lake High School. My love for pets goes way back. Growing up, I was always surrounded by many animals, including a couple of parakeets and fish. I spent many hours during my school years volunteering and fostering cats for an animal rescue group. During this time, I learned to administer medications, bottle feed kittens and how to take care of them. It was not unusual to have over ten cats in our care at one time. My love for them is what inspired me to work with Team Paw-Some Pet Sitters and share that love with your precious pets! I look forward to meeting you soon. 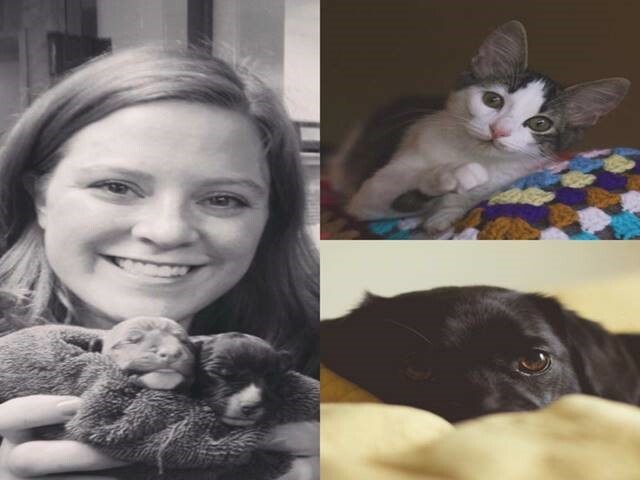 Hi; my name is Megan, I am a native Houstonian who joined Team Paw-Some and this wonderful group of pet sitters in May of 2016. When I am not pet sitting part time, I am working full time at Houston Neurological Institute where I administer all sleep studies to successfully help patients combat their sleep disorders. I have always had animals growing up and cared for friends’ pets, including ducks, roosters, chickens and other farm animals. I love all animals large and small and feel a very strong compassionate connection to all of them. I enjoy travelling and reading and often find a kitten lying on my lap when I have a book in my hands. Hello! My name is Charleen, and I am a proud member of Team Paw-Some Pet Sitters. I am a native Texan where I grew up and attended school in the Houston area. I obtained both my Bachelor and Master Degrees from the University Of Houston and recently retired after a 35 year career in the petrochemical industry. I have always been an animal lover. Animals have always played an important part in my life and they continue to bring love and companionship to my husband and me. We are currently the proud parents of two "Texas Lacy Game Dogs" aka "Texas Blue Lacys." Due to their intelligence and high energy levels, they keep us busy finding them challenging activities for their excessive amount of energy. Now that I have retired from the corporate world, I have decided to do something that brings me much joy and satisfaction--caring for animals that show unconditional love and affection for those who love them. Nothing better than a few wet kisses! All of Team Paw-Some Pet Sitters share the same goal as I do. We all truly have the desire to see that your pet children are provided with the best care while you are away. I look forward to meeting you and your pet family and promise to show them the same love and attention that I give to my own fur children. My name is Brandi and I am so excited to be a member of Team Paw-Some Pet Sitters! My love for animals has persisted since I was very young, and as such, has found a way into many facets of my life. I received my Bachelor’s Degree in Animal Science from Rutgers University and have been working in veterinary hospitals for more than a decade. I love the fact that I am working with dogs, cats, goats, sheep, horses, reptiles and cows. I am also interested in helping individuals and hope to obtain a nursing degree soon. My passion for animals will continue as I pursue another goal in my life. I live with my significant other, my dog Davie, and my cat Rue, and I currently work at a veterinary hospital in Webster. When I am not working or going to class, I enjoy going to the dog park with Davie, exploring the museums in downtown Houston, embroidery, and wasting time on Instagram looking at knitting and special-needs goats. I truly cannot wait to meet your furry loved one! My name is Katie, and I was born and raised in the Galveston/Houston area. Growing up, I helped take care of many of my family’s animals including many of my own. It was a great experience as my family owned a petting zoo and ranch. I was even on a commercial riding a camel for my father’s ranch. During high school, I raised animals for our school’s FFA educational program and developed specific skills with the animals I worked with. After high school, I joined the Navy and I was an Operational Specialist and then medical for eight years. I was stationed in Japan, California and a short time in Texas and Chicago. So many travels, deployments and experiences have made me who I am today. While raising my brother, he would always want to rescue deaf animals and bring them home, which I found to be very interesting. That interest continued after the military and I decided to attend Gallaudet University to obtain my Bachelor’s degree in Family and Child studies with a focus on child development. I taught high school ASL (American Sign Language) for four years and have recently decided to attend nursing school; while working part-time with Team Paw-Some Pet Sitters. My little angel pug named Milo keeps me company while studying. He loves watching shows with animals which makes me laugh with his reactions. I also love cats and need my cat fix. One day I hope to have a Russian blue. 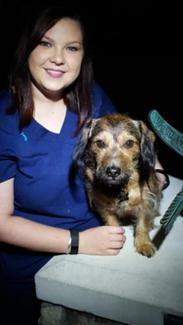 I also have experience administering medication to animals, handling all breeds and ages. I have been with Team Paw-Some since 2013 and I look forward to meeting you and your four-legged fur kids. Hello everyone! My name is Rachel and I am very excited to be a Team Member of Team Paw-Some Pet Sitters. Since I was a very young girl, I have always enjoyed meeting new people and their pets. I have always loved animals and even had a desire to work with them beginning in kindergarten when my dream job was to be a zookeeper. I still had that dream through high school when I took a class where our daily objective was to care for many different mammals, reptiles and amphibians. I enjoyed it so much my lunch breaks were spent in the classroom spending time with the animals. After completing my Associate of Arts degree (theatre major), I went to work at a pet resort and loved every minute of it. I have worked in the pet service industry ever since spending a decade in different capacities working my way up as a bather, kennel supervisor and a certified dog trainer. I also volunteered with a pet rescue group. Maybe I should change my name to “Dr. Doolittle”. I believe that caring for all animals large and small is what I was put on this earth to do. Whether it is caring for my own personal zoo of four dogs, two birds, a cat and a hamster at home or caring for others' pets such as yours, it is something I truly love and take great joy and pride in and hope to do for a very long time! 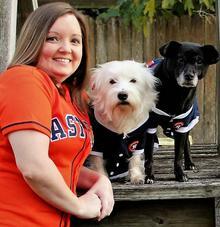 Thank you for the opportunity of meeting you and your fur pets and GO ASTROS!! Hello! My name is Caryn and I’m so excited to be joining Team Paw-Some! I’m a Native Houstonian and have lived in the Clear Lake area since 2006. I went to Texas A&M for undergrad and U of H main campus for my masters. I’m a Diagnostician for CCISD and really enjoy the field of education. My love is animals. I’ve grown up with dogs, fish and birds. Once I was on my own I was finally able to get my first cat (we got told someone in the family was allergic). Cassidy was my pride and joy along with Scooby, Sprite and Jinxy. I currently have two cats, Ripley and Clover. I also have a red-tailed boa named Chip. It’s a long story but bottom line is ‘pets are forever’ in my house and once you commit…you commit. He’s low maintenance with a great habitat. Ripley and Clover rule the roost and also enjoy a catio that I had built. They are my spoiled babies that I just adore. I also have many ferals that I try my best to care for and nightly visitors that include raccoons and possums. 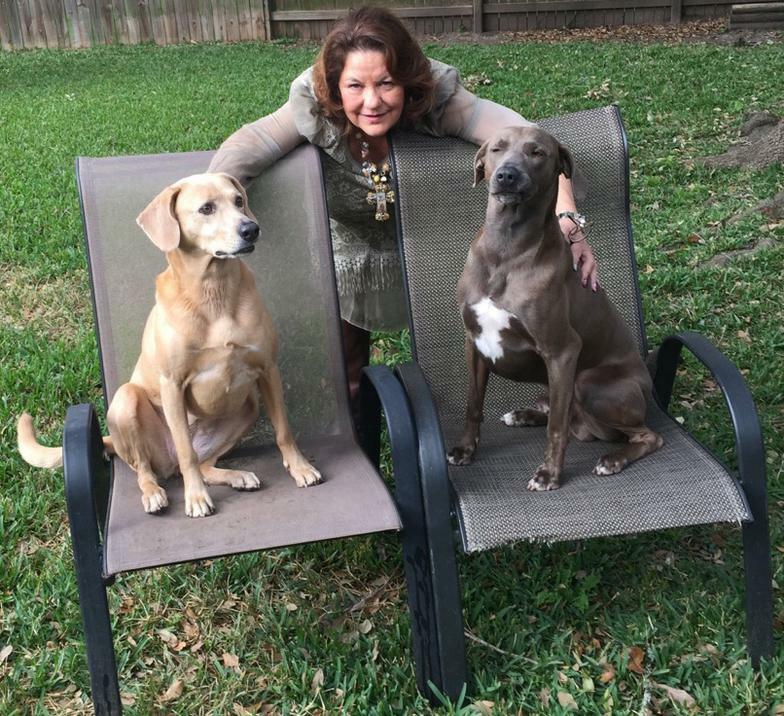 I became a Team Paw-Some client two years ago and was truly amazed at how well my furbabies were cared for and just how much more I could relax knowing they were in good hands. I’m looking forward to being able to provide that service to you and your furbabies. My goal will be: to take care of your pets the way you have asked and to love them as if they were my very own! Hi! 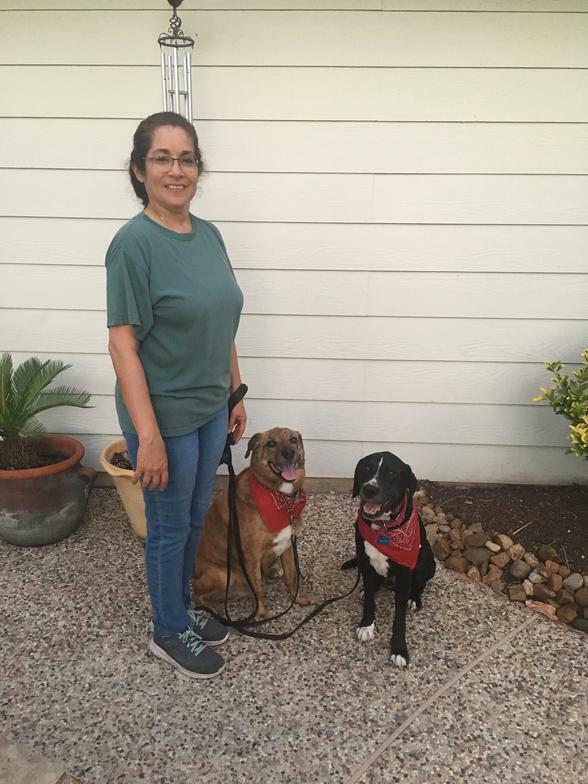 My name is Awilda, and I am so excited to be part of this awesome pet-loving team! I am joining Team Paw-Some on a part-time basis since I work as a Spanish High School teacher during the school year. I was so impressed as a client with the wonderful service the team provided, and how well our pets were taken care of, that I wanted to join this wonderful group of people doing something I have always loved. My family has shrunk since our four kids have left home for college and work. As you can imagine having raised four kids, I’ve had to care for a veritable zoo over the past 28 years. Our house has been a home for the tiny (hamsters, gerbils, mice, gecko, chameleon, and fish), midsize (guinea pigs, iguanas, large snakes, turtles, and birds), to the bigger cats and dogs. Currently we have two shelter rescue dogs (they are the best! ), a very temperamental cat (aren’t they all? ), a tankful of fish, and two elderly finches (who serenade us every morning) making sure we are never lonely. I look forward to meeting you all and your fur babies too. Just like people they come in all colors and sizes with their own unique quirks and personalities. I think we all agree that Home Sweet Home is the best place for our beloved pets to be. Hello. My name is Linda Foster. I’m a new member to Team Paw Some Pet Sitters. I work with Elizabeth Moeller several years ago and then realized how much I loved taking care of the animals. They need love and caring as much as we do, and they return it unconditionally. I was born and raised in Houston Texas. I moved with my parents to Friendswood in 1959. The picture above is my nephew and I in Cherokee, Texas. I lived in my grandmother’s ranch in the summer and I would not trade that for anything. Nothing is better than the smell of fresh rain. Mother and I live in Corpus Christi, Texas after I graduated from school. We lived there for several years, during which time I married. I then moved mother to Cherokee to be closer to my brother. I grew up with all kinds of animals and being in the country was great. We had a fawn, cats, dogs, horses, sheep, and of course the little critters. It was great. I’m now back in Houston living with my sister in Nassau Bay. So here I am wanting to share the love I have with the animals who so need it. Hi! My name is Lisa, originally from California, where I lived for 30 years. Studied business in college and moved to Texas 20 years ago. I have been married to my wonderful husband for 28 years. We moved here with our two daughters and my two dogs (wow what an adventure!). Since then we have had over six dogs. I currently have one dog, Chloe, who is 12 years old and loves everyone and a lot of belly rubs. I also have an African Grey Parrot named Raymond who loves to get out of his cage and roam around the house. When I am not pet sitting, I love to work in my garden, watch sports and work out at the gym with my husband. I have a true passion for all animals. I am so excited to be a part of the Team Paw-Some Pet Sitters and look forward to caring for all your fur, feathered, and non-fur babies. Howdy! 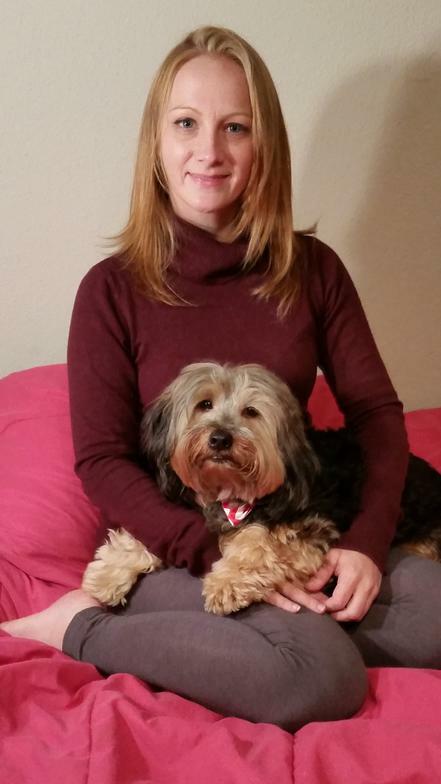 My name is Alicia and I am excited to be joining the TEAM as a pet sitter after being a client since around 2008. 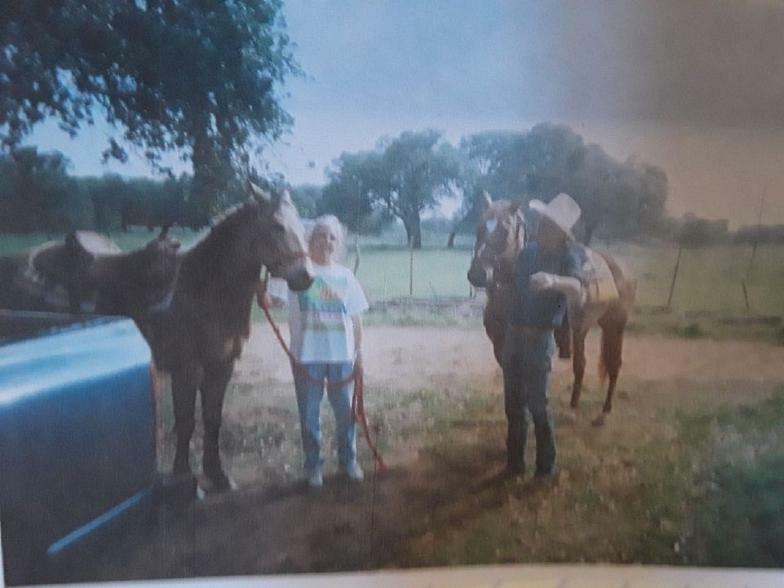 This happened when I sought out the company after being so upset leaving my crew in a cage at a vet and determined there was a better choice of having a pet sitter when I went to visit my sons at college and attend football games at my Alma Matter, Texas A&M. I understandably discovered that my fur kids were obviously so much happier staying at home being spoiled by Elizabeth as they got to stay in their own surroundings. I am now semi-retired from the healthcare field (available as an Independent Consultant) and feel drawn to still work in some capacity, so I decided that pet sitting would be an awesome option. I have had pets ever since I can remember: dogs, cats, birds, hamsters, ferrets, frogs, turtles, and fish both in an aquarium and koi pond. I have lived in the Taylor Lake Village/Seabrook area since 1992, raising two sons as a single Mom and currently have a parakeet named Tweety, aquarium fish, a Koi pond and a crew of 3 dogs; Peaches, a Jack Russell Terrier rescued after Ike, and Trixy and Brownie, both Chihuahuas adopted through a local organization. I am also a grand dog mom to my son, James’ Blue Heeler, Callie, who I sit for on occasion from Pearland, and my son, John’s dogs, Jax who is an adopted large breed mix, and Haze, another Blue Heeler stray from Tomball. I also enjoy hanging out with my newest human addition, grandson, Lincoln, who has been accepted by his two fur brothers. I am an only child born into a military family traveling until my Dad retired from the Army settling in Galveston in 1967 where I have a second home rebuilt after Ike. I graduated from Galveston Ball and Texas A&M where I earned my B.S. in Biology. I then earned my nursing degree from UTMB and worked in the hospital and field settings in clinical and administrative capacities for 35 years. I am also a Massage Therapist and have kept all my licenses and certifications current. Getting in touch with Libby to join Team Paw-Some came to me on a whim being disillusioned with some human kind. My joy has been my pets who provide unconditional love with a lifestyle of playing, eating and sleeping and I want to share my love of pets with others so they will feel confident their own pets will be taken care of as needed with love and affection. I look forward to meeting, greeting and caring for your special family members! Hello; my name is Tracy. I'm so happy to be working with Team Paw-Some. They are an amazing team, and I enjoy working with them. My love for fur babies goes back to my childhood. I've had bulldogs, Doberman pinscher, German shepherds, and many kitties. As of now I have a German shepherd named Bella and Bonnie, a stray kitten that showed up at my door. I've worked for myself since 1997 as a cosmetologist. I love being my own boss; it gives me great flexibility while raising my son. I love helping people and will take great care of your fur babies as if they were my own.